Tom Cruise in the cockpit of his F-14 in the 1986 film "Top Gun." Cruise will once again play the part of Pete “Maverick” Mitchell. Thirty-six years between movie flights is a long hiatus for a pilot, and the movie will center in large part on the increased role of drones in warfare. But, of course, when things get dangerous we’ll need a real pilot to get things done; we’re assuming that doesn’t need a spoiler alert. 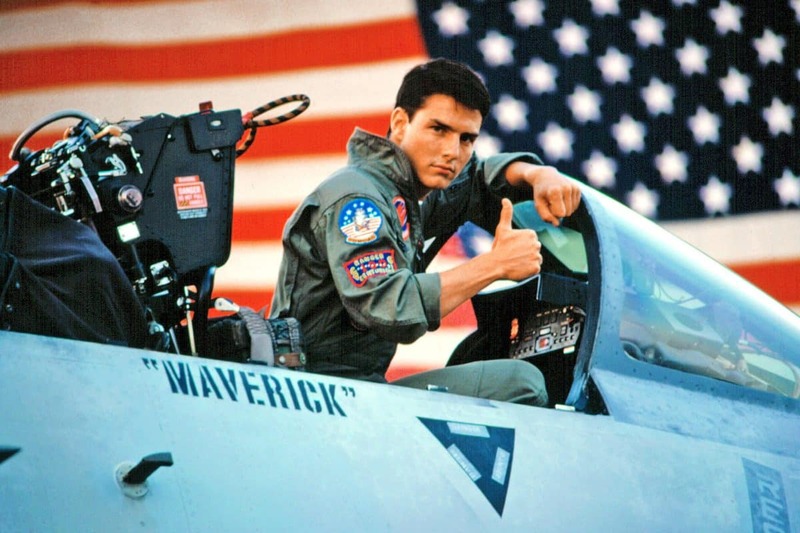 Production notes show that Cruise/Mitchell will be piloting an F/A-18 Super Hornet in the “Top Gun: Maverick,” rather than the original film’s F-14 Tomcat. The film will be directed by CGI guru Joseph Kosinski and is scheduled for a June 26, 2020 release. In other film news, Long Beach’s venerable Joe Jost’s once again put on its film face for a role in the Matt Damon/Christian Bale film “Ford vs. Ferrari” two weeks ago, shortly after shooting scenes at Alamitos Bay. “Ford vs. Ferrari” (it may be renamed later) is scheduled for a June 28, 2019 release. Updated to correct Matt Damon stars in “Ford vs. Ferrari,” not Brad Pitt.